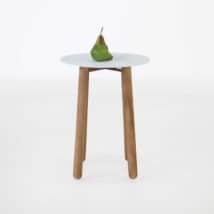 The Aspen accent table is a modern side table with a warm and organic feel. 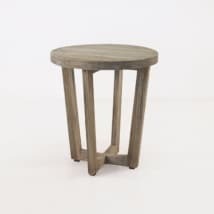 We combined a-grade teak and raw concrete to make these interesting 3-legged accent tables. 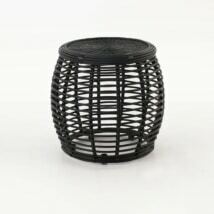 Perfect for your outdoor or indoor space. 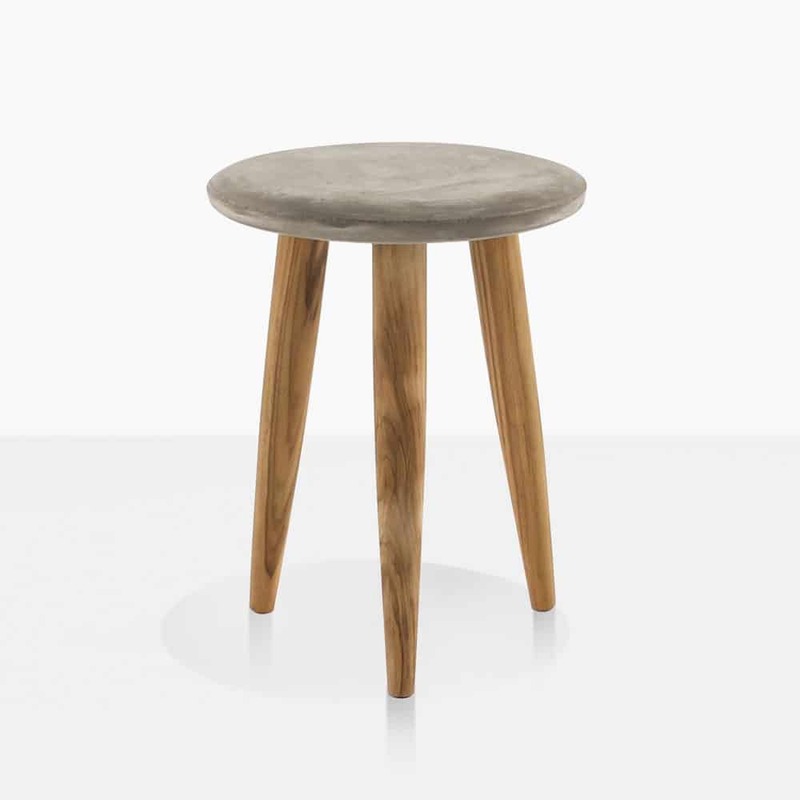 Place a few of them in handy spots around your deep seating collection or in between your favorite relaxing chairs. The warm color of the a-grade teak softens the look of the raw concrete tabletop allowing these to suit many different outdoor spaces. Teak Warehouse uses a high-quality, lightweight concrete and resin mix to make outdoor furniture with all the beauty and toughness of raw concrete, without the heavy weight. This outdoor furniture can be moved easily and has been reinforced to keep it looking amazing for many years. 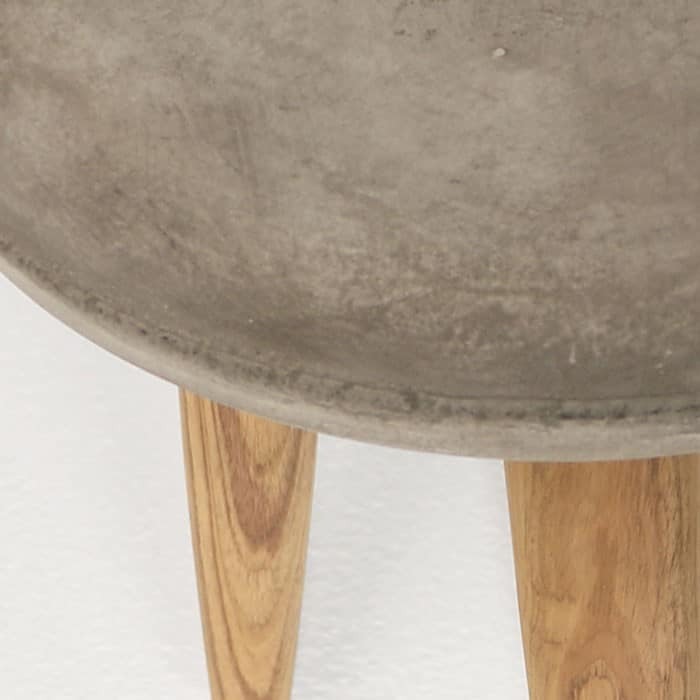 Concrete Furniture is by its nature, porous and natural. 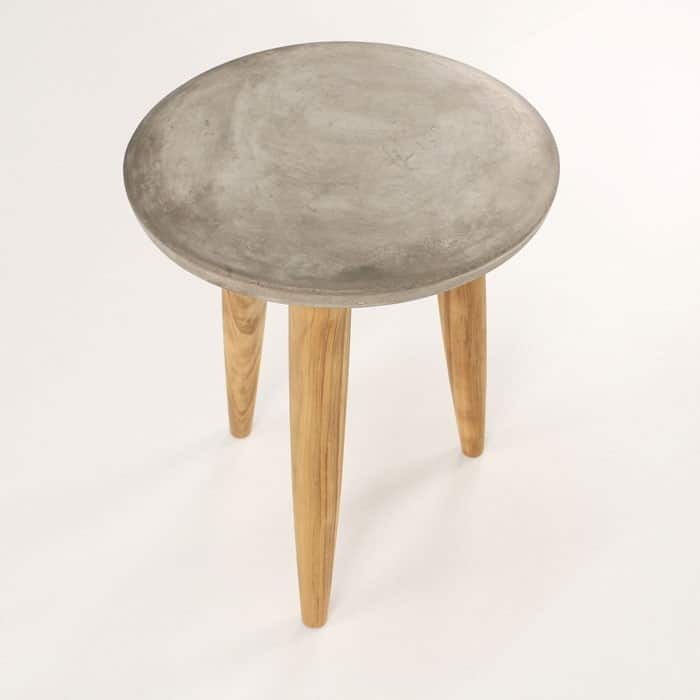 In order to keep your concrete furniture looking incredible for years, we recommend using a specific set of care guidelines. Click below to see these guidelines.